I’m sorry, The Banner Saga. I know that you’ve been calling yourself that for a couple of years now, and that it must be frustrating to have your own name legally contested because we like to call our casual puzzle games ‘Something Something Saga’. But you have to understand: it’s not about you. It’s about the real bad guys, out there. 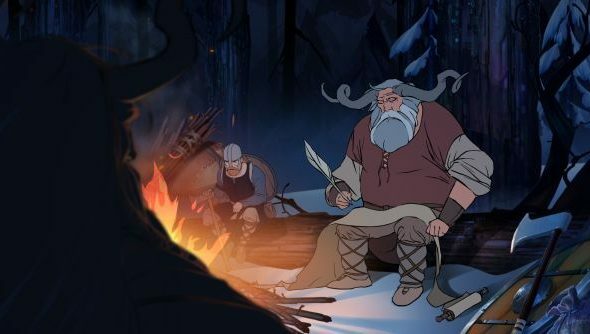 Meanwhile our Banner Saga review made Fraser use the word “Epic” many, many times. This isn’t quite so mad as it sounds. UK and US trademark law is such that companies are compelled to aggressively defend their right to trademarks. That’s why, as you’ll recall, Bethesda went after Mojang’s Scrolls – to ensure that their hold on The Elder Scrolls didn’t erode over time. In King’s case, they’re worried about “preserving [their] ability to enforce [their] rights in cases where other developers may try to use the Saga mark in a way which infringes our IP rights and cause player confusion”. So, to be clear: despite the wording of the Notice of Opposition designed to prevent Stoic’s Banner Saga trademark application – which argued that its name might cause “mistake and deception” for King’s customers – the Candy Crush creators don’t believe that The Banner Saga is a ‘real copycat’ case. It’s useful to remember that King operate heavily in the App Store, where cloning is rife. Between that fact and the letter of the law, it’s entirely understandable that they’d want to be proactive about securing their existing trademarks. But, gosh – why pick the hardworking, three-man team behind a legitimately distinct and creatively accomplished PC game to make an example out of? Can King’s lawyers not afford to be a tad more subjective when drawing their crosshairs? Perhaps not. In which case: does the law need to change?